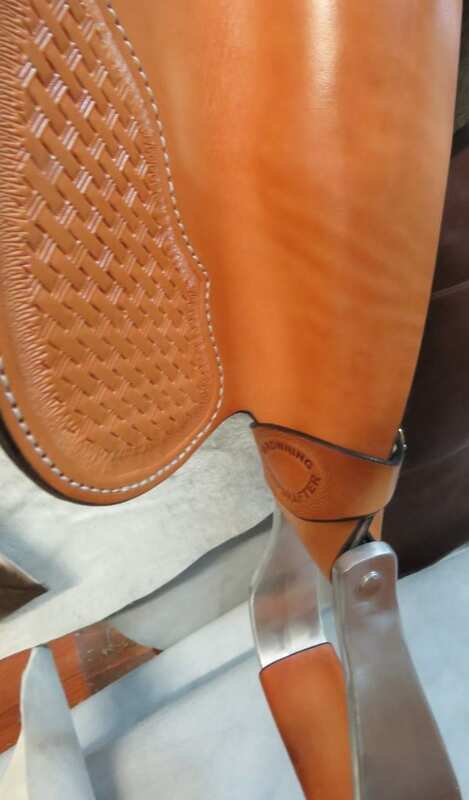 These stunning “Browning Campdrafter” Half Breed Australian Stock Saddles are handcrafted in Tasmania. This is our Stamped Design. 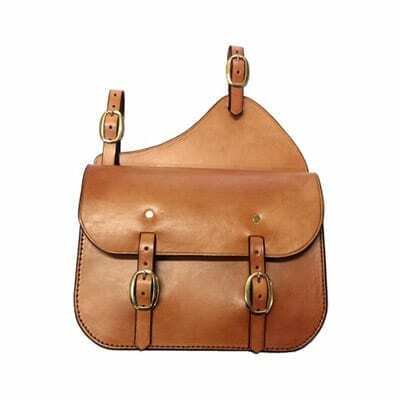 These stunning “Browning Campdrafter” Half Breed Australian Stock Saddles are handcrafted in Tasmania by our fine craftsmen. This design is a slightly different style to our standard “Browning Campdrafter” and also features Basket Weave Stamping on the fenders and skirts. 1. Finest Hermann Oak Cowhide Leather. 2. 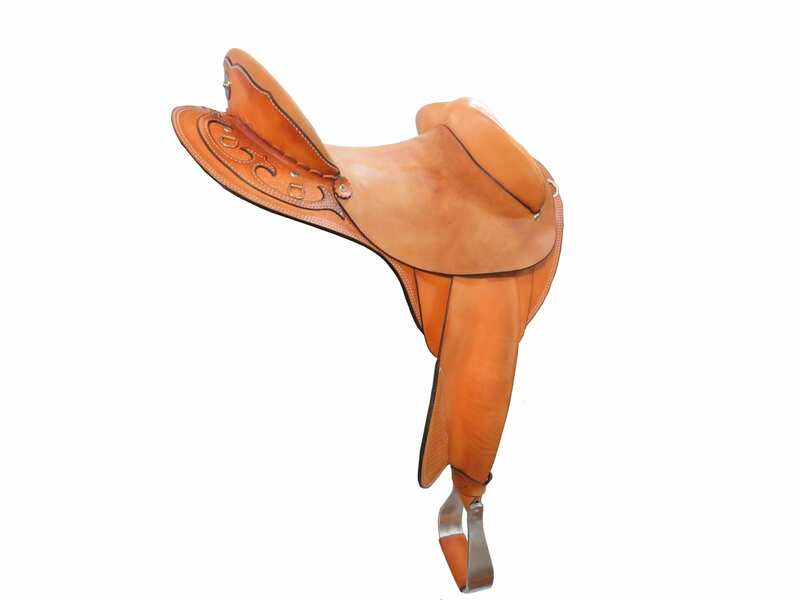 Light weight polyurethane semi-quarter horse Brophy saddle tree. 3. Stainless steel stirrup bar and aluminium ox-bow stirrups. 4. Crupper D and extra D’s for saddle bags etc. 5. 16mm Felt Lining (sheepskin lining optional). 6. Fully molded leather seat with no stitching that can rub or wear off. Great comfort! 7. Stainless steel blevins and rigging. 8. Option for C type rigging or 3 way rigging plate. 9.Option for Brass or Stainless fittings. 10.Features Simon Martin Whips logo on the back of the cantle. 11. Option for Natural, Dark Brown or Chestnut colour. 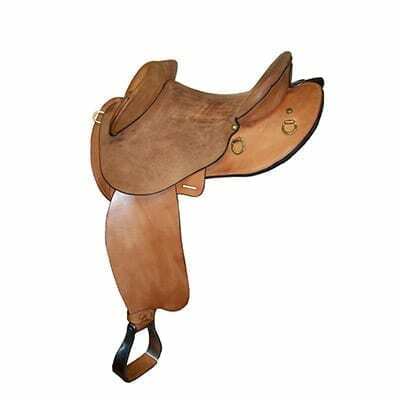 This saddle is perfect for stockwork, competition campdrafting/cutting or general riding. 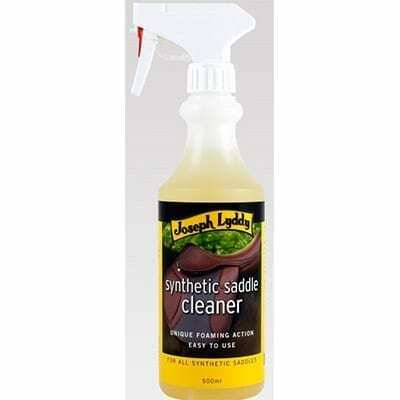 We will make this to suit you and your horse. Please just email us to order and we will send you a form that you can fill out for us to custom make the saddle to suit you. Payment will be processed just before we start the saddle. Expect 6 to 8 weeks wait on your order. 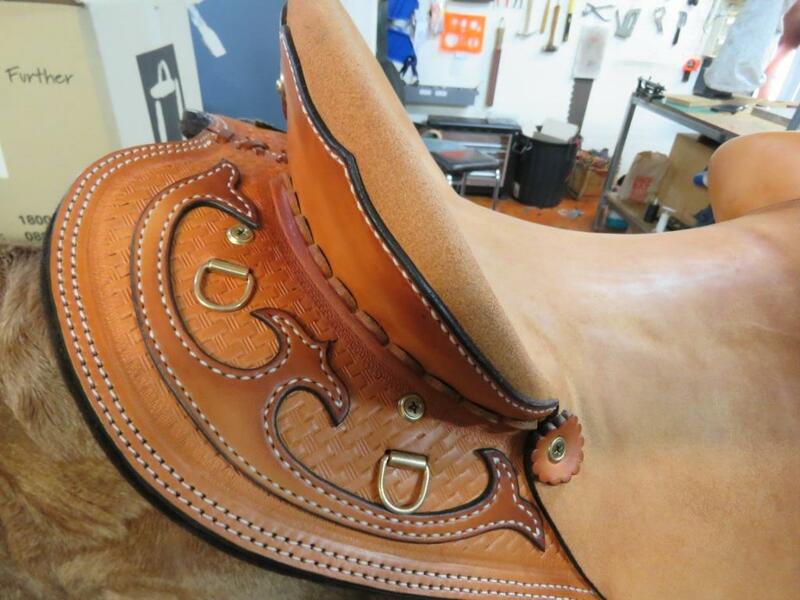 Be sure to check out the breastplates that will match your saddle!